ATREQ Sports Markers, ideal for grass, playgrounds or sports halls, used to mark out field areas, goal areas, obstacle courses etc. Set of 25 mixed colours. 190mm diameter x 55mm high discs. 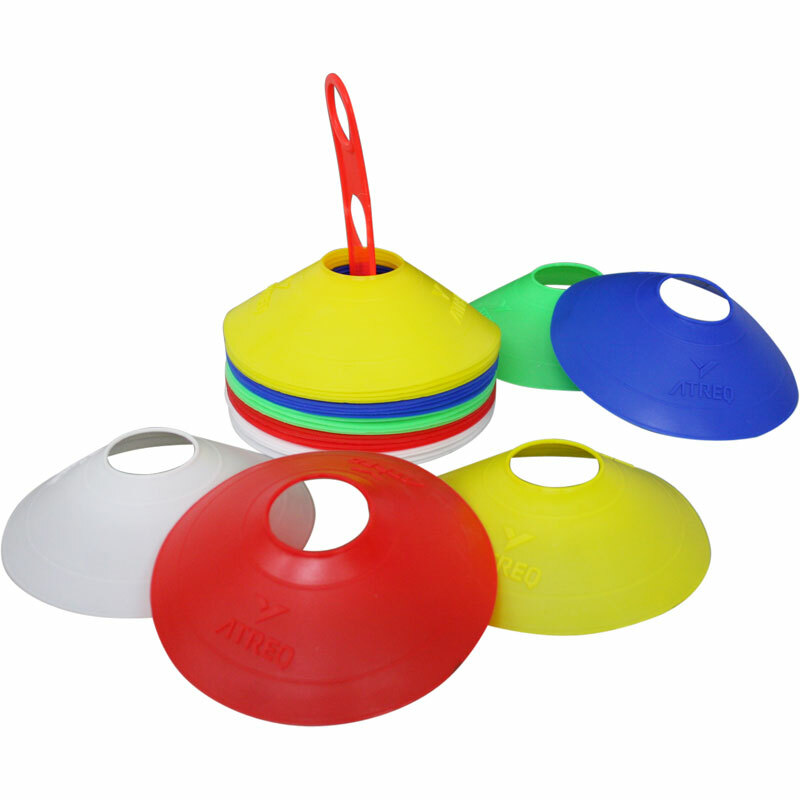 Aldwininans RUFC only ever use these kind of cones as they are light weight and easy to carry around. They are also within our budget range. I bought these for my son for his birthday to make tracks for his bike and obstacle courses in the garden. Great value for so many cones. They arrived the following day too. Highly recommend.